"It has changed the way we look at sales.It had very big impact on not just using software but the way we organize our sales process." One of the leading factors that affect the success of the manufacturing industry is logistics management, which enables the fast and efficient transportation of a product from point A to point B. With more than 70 years of industry knowledge, Fevzi Gandur Logistics understands the needs of its customers and provides the best solutions. The sales team of the company, which provides smart logistics services, uses Salesforce CRM, the smart customer relations management solution. Providing uninterrupted service in 90 countries across seven continents and specializing in maritime transport, Fevzi Gandur Logistics also provides air cargo, international land transportation, contract logistics, project logistics, domestic transportation and, warehousing services to its customers anywhere in the world. Having been chosen as the Logistics Company of the Year at the Atlas Logistics Awards in 2016, Fevzi Gandur Logistics was named Turkey’s best Domestic Freight Forwarder in 2017. Fevzi Gandur Logistics also received the 2017 Great Place to Work award. 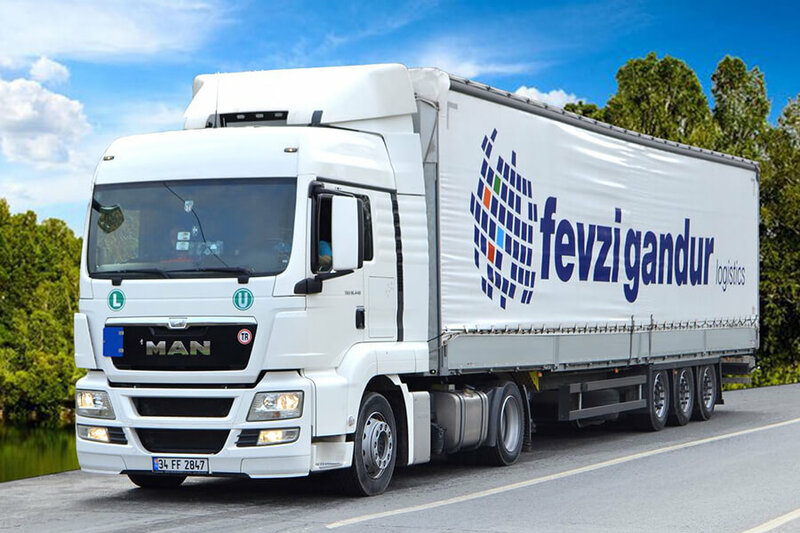 Having invested in digital transformation to better serve its customers, Fevzi Gandur Logistics has set up an integrated finance, vehicle tracking and a telemetric system infrastructure. For better service, Fevzi Gandur Logistics has chosen Salesforce.com as its CRM solution. Since it was difficult to retain all customer, agency, and business partner contact information, meeting notes and decisions made couldn’t be systematically recorded, which lead to a loss of information within the company. Sales representatives couldn’t access necessary information quickly and so it was sometimes too late to take action. As the company became larger, our managers needed to monitor the actions of sales teams and manage the teams in real time. There was a need for efficiency in reporting to make managing job opportunities, the preparation of sales pipelines, and fast resolutions possible. We began to look for an CRM solution that our colleagues could adopt and use easily. After presenting the possible options to the business partners, our meetings with Inspark, a Salesforce Turkey Authorized Reseller, resulted in our deciding to adopt the system. The decision process was fast thanks to the business partners’ confidence in technology and the system’s efficiency. But we didn’t have systematic and easy way to track any of that. We also didn’t have systematic way to help our sales people to arrange and plan and organize their sales effort and track their own customers. So, we decided to go and invest CRM system and we decided to choose Salesforce as our product. Managers of the sales teams explained the benefits of the system to their teams before putting the system into action. During these meetings, business partners informed users about how the system benefited the daily work load and raised awareness within the company. After migrating the current contact and company information into the system, sales representatives then entered their daily activities into the system. After speaking with customers, employees updated the system with the latest customer information and sales opportunities. Weekly reports were shared with both the sales teams and the managers. Thanks to mobile devices (smartphones and tablets), the sales team is able to access the customer database and update the sales pipelines from anywhere. After voice recordings were automatically converted into writing and recorded to the CRM, the amount of manual processes decreased. In the second phase of the Salesforce CRM project, Fevzi Gandur Logistics is planning to integrate its finance and operations systems with the CRM, implement a B2B Marketing Automation solution, and put the customer services management application into action for the telemarketing team. We are clearly very happy with Salesforce. Salesforce is not just a software that it has very big impact how we do our sales business. Software is easy to use, quick to deploy, got lots of features, good visibility on what we are doing and we are also very happy with cooperation that we have had with INSPARK. It was very smooth, very reactive. They delivered on time what they say they were going to do. So we are continuing the road because we are happy. We want to continue together with Salesforce and INSPARK as well.